Very convenient & spontaneous booking facility. I got a studio apt. Very Friendly and supportive staff, quick and warm room service by the day, impeccable surroundings, neat ambience, fully equipped room, kitchen n bathroom. Hospitality & Comfort 100% guaranteed in my experience. Hope it stays the same for next visit and other guests too. Good job & good luck all. 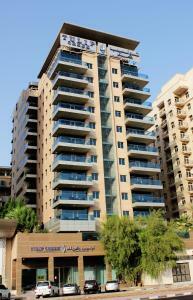 Location is great, balcony is big with great view of creek and city, big apartment with two toilets. They provide early check in..front desk service is awesome. One of our best sellers in Dubai! 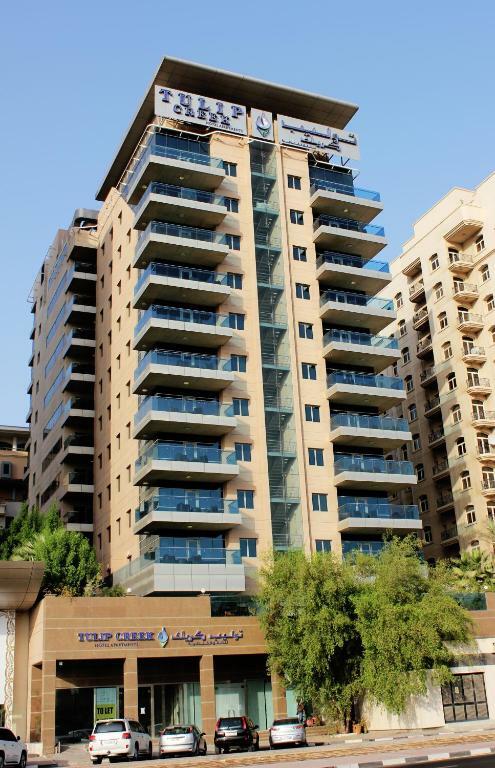 In the heart of bustling Deira, Tulip Creek is located close to the famous Dubai Creek. It features free parking on site and modern accommodations. This apartment-style hotel has accommodations with kitchen facilities which are neutrally decorated and well furnished. The Tulip Creek Hotel Apartments features an international restaurant with all-day dining. Guests can enjoy a wide range of cuisine including special themed buffet meals. The property’s lobby lounge serves a selection of drinks, fresh coffees and patisserie. Guests can relax in the seasonal, outdoor pool or enjoy an energizing workout in the fitness center. There is also a complimentary shuttle service that runs between the hotel and the City Centre Shopping Mall and the Mamzar public beach. 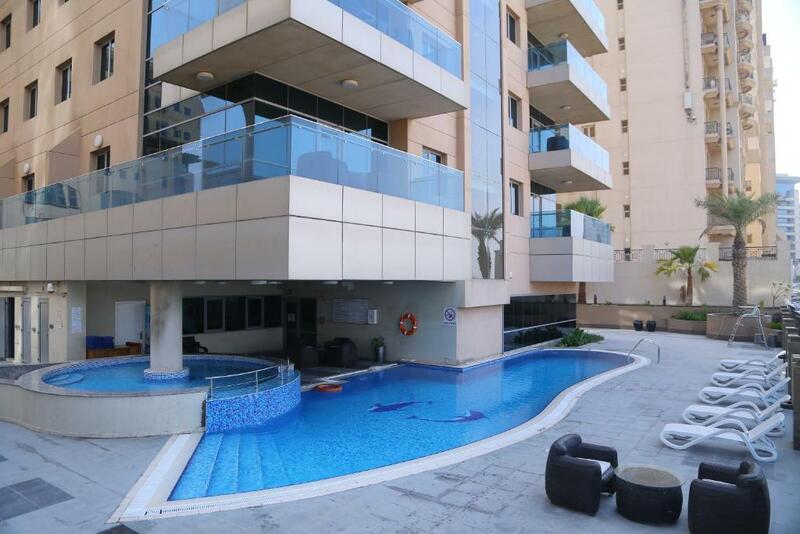 Tulip Creek is just a 7-minute drive from Dubai International Airport. When would you like to stay at Tulip Creek Hotel Apartments? 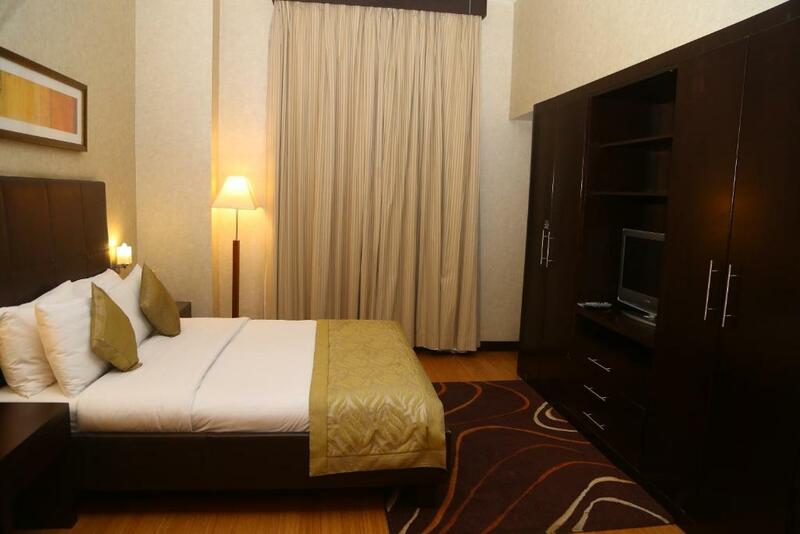 We are offering special Room Rates during Ramadan including Sahoor & Iftar. unbelievable rates for long stay more than 15 nights. please contact us for more details. Please note that this apartment hotel accommodates families and married couples. Single travelers are also welcome; however, due to security reasons, only parents and siblings can visit them in the apartments. Please note that Tulip Creek Hotel Apartments doesn’t accept bookings from non-married couples. All couples must present a valid marriage certificate upon check-in. House Rules Tulip Creek Hotel Apartments takes special requests – add in the next step! Tulip Creek Hotel Apartments accepts these cards and reserves the right to temporarily hold an amount prior to arrival. Please note that Tulip Creek hotel Apartment accommodates families and married couples. Single travelers are also welcome; however, due to security reasons, only parents and siblings with valid photo IDs can visit them in the apartments. Please note that guest must present their credit card to the reception upon arrival. Staff at reception was amazing....he was very very cooperative. Horrible AC. I was sweating in the room. Cleaning is for a toss. Bad chef in the hotel. He was on agenda of why did you order full. The whole meal was full of red b big red chilly flakes. I am indian and can handle spices but can assure you it was still too much. Location is good, minutes walk to Diera city shopping centre, proximity to the airport, friendly staff who are always at your service. 2bhk very clean and big. Real value for money..